Today ARC boasts an investment portfolio way more diverse than most people could have imagined. When investment holding company African Rainbow Capital (ARC) was launched a few years ago, the market was abuzz with rumour and speculation as to what would be in its investment sights. Today ARC boasts an investment portfolio that is way more diverse than most people could ever have imagined. Combining the big-picture vision of founder Patrice Motsepe with the proven investment track record of the two Johans (Van Zyl and Van der Merwe) from Sanlam was truly inspired, and the end result is highly synergistic. Management describes the business as a five-day game, rather than a T20. In broad terms, ARC is invested in two areas: financial services and diversified investments. Within financial services, the key building blocks are insurance, asset management, banking and specialist financial services. Diversified investments comprise telecoms, business process outsourcing, mining, construction, energy, property and agriculture. There are several unknowns, such as Rain and Metrofibre in the telecoms portfolio and Afrigem, Bluespec, Autoboys and Humanstate in the business process outsourcing portfolio. But there also are some very well-known listed entities such as EOH and Capital Appreciation within the business process outsourcing segment. Van der Merwe admits that EOH’s spectacular fall from grace in the past year caught them by surprise. The Val de Vie estate in Stellenbosch — where disgraced former Steinhoff CEO Markus Jooste resided — is part of the property portfolio. The fund also owns 20% of recently launched competitor stock exchange A2X and 10% of Tyme Digital, which is the Commonwealth Bank of Australia’s fledgling operation in SA. Many of its investments have been acquired at appropriate discounts because of their long-term vendor lock-in nature. Incorporated in Mauritius in order to attract international shareholders, the company listed on the JSE in September 2017 and ironically was the second-largest initial public offering behind Steinhoff Africa Retail in 2017. It predictably has a secondary listing on A2X. At listing, intrinsic net asset value (NAV) of R8.734bn comprised the intrinsic portfolio value of R4.473bn plus cash of R4.261bn. At the end of December 2017 intrinsic NAV was R9.076bn, comprising the intrinsic portfolio value of R7.086bn and cash of R1. 989bn. For the interim reporting period to December 2017, annualised net return, after fees but before performance participation, on the intrinsic portfolio value was 14.8%. Intrinsic NAV increased from R8.46 per share to R8.75 per share, fully diluted, as at December 31 2017. Of the R7.086bn portfolio value, the largest chunk — 28% — was in telecommunications, followed by diversified financial services on 19%, business process outsourcing and mining, construction and energy both on 17%, agriculture 10%, property 6% and other 3%. The unlisted to listed ratio is 80:20. Listed investment holding companies invariably trade at a discount to NAV, and as a rough rule of thumb this is around 20%. So, investors need to time their entry point into these types of structures appropriately. Try to acquire when shares are significantly discounted below the long-term average discount, and then hope that the discount will narrow over time as good results percolate out. 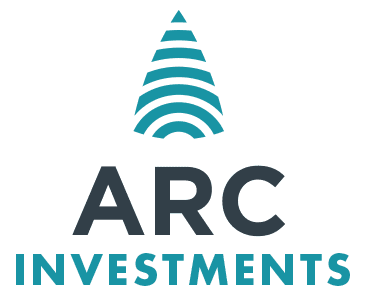 The ARC share price at end-April 2018 was 680c, compared with the fund’s intrinsic NAV of 875c at December 2017, a 22% discount. Management is acutely aware of the discount nature of investment trusts and therefore prioritises the extent of its communications to the market, as well as delivering on NAV-enhancing investments. ARC Investments is deliberately highly exposed to SA. While this approach imparted a big negative factor to the portfolio in 2017, as the country lurched from one political crisis to another, the very positive change in political sentiment following Cyril Ramaphosa’s election as president has undoubtedly had a very calming effect. Co-CEO Johan van Zyl says ARC Investments is spoilt for choice when it comes to investing in new ventures. "A skill we have had to learn quickly is how to say no."